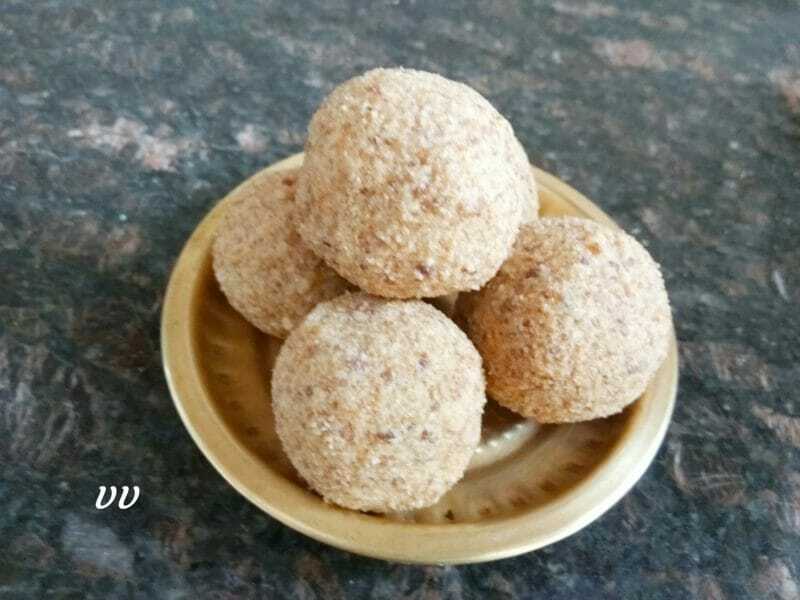 Thinai urundai/Foxtail Millet laddu is considered very special for Lord Murugan. So, made these laddus for Skandha Sashti. Jaggery and ghee are added to the flour and laddus are made. It is an excellent snack. Dry roast foxtail millet flour on low heat till nice aroma is released. Make laddus when the flour is warm enough to handle. Thanks for the recipe. Once I tried making millet flour, but it tasted bitter. Even the market flour tastes bitter too. Is there any solution for this ? If the flour is old, they may taste bitter. I suggest, you wash them couple of times, soak for 10 minutes, dry it on a cotton cloth and make flour. You can send it to flour mill also. Maam can we use fresh coconut if dry coconut is not available? roast fresh coconut? Yes. You can use freshly grated and roasted coconut. Yes you can. Wash and soak the millet for 10 minutes. Spread and dry it on a cotton cloth for 20 minutes. Grind using a mixie and seive. Alternatively, you can grind in the mill also. Awesome. Thank you so much for the quick reply 👍.I shall make and post.